Andrew Herdman has held the position of Director General of the Association of Asia Pacific Airlines (AAPA) since 2004. AAPA is the leading trade organization for international airlines based in the Asia-Pacific region, addressing a wide range of both regional and global policy issues affecting the industry. AAPA works closely with regulators and other industry associations with the aim of fostering the development of international civil aviation. 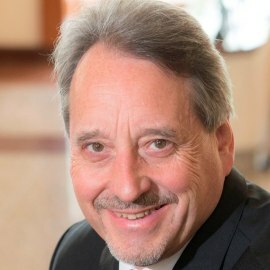 Andrew also serves as a Board member of the Air Transport Action Group, a global cross-industry group promoting the sustainable growth of aviation. Prior to joining the AAPA, Andrew held a number of senior positions with the Swire Group, the parent company of Cathay Pacific Airways, with other diverse interests in aviation, property, beverages, marine services, trading and industrial sectors, predominantly based in the Greater China region. Andrew spent much of his earlier career in a variety of senior aviation-related roles with Cathay Pacific Airways and its associated companies, including Managing Director, Cathay Pacific Catering Services, Managing Director of Hong Kong Aircraft Engineering Company Ltd (HAECO), Chairman of Xiamen-based TAECO, Cathay Pacific General Manager Cargo, Director and General Manager of ABACUS, and a board member of Worldspan. Andrew is a graduate of Oxford University, with BA (Hons) and a post-graduate BPhil in management studies.